Columbia Broadcasting System, Inc. (owner of the various CBS imprints) was established in 1928, in 1961 its recorded music division CBS Records was founded, it was set up intially to distribute and market releases on the CBS label overseas from their US catalogue owned by their subsidiary Columbia Records, Inc.. This was mainly for Columbia releases due to trademark copyrights. Columbia Broadcasting System, Inc. couldn't use that brand outside the US because Electric & Musical Industries Ltd. (EMI) subsidiary Columbia Graphophone Company Ltd. (later The Gramophone Co. Ltd.) owned the rights to the Columbia brand in most of the rest of the world, and Nippon Columbia Co., Ltd. had rights to the name in Japan. Columbia Broadcasting System, Inc. set up a number of companies to market the CBS releases. Examples are CBS Records S.A. in France, CBS Grammofoonplaten BV in the Netherlands and CBS Schallplatten GmbH in Germany. In the UK, the CBS label was initially distributed by Philips Records Ltd. from 1st May 1962, until the aqusistion of Oriole Records Limited in 1964, renamed CBS Records Limited. in early 1965 who subsequently took over this role. These companies also used the CBS label to release records by local signed artists. In 1988, the CBS Records Group, including the Columbia, Epic labels were sold by CBS Inc. (Formerly known as Columbia Broadcasting System, Inc.) to the Sony Corporation of Japan. CBS Inc. granted Sony a temporary license to use the CBS brand. After Sony acquired the Columbia rights from EMI Records Ltd. in 1991, they started using Columbia as a worldwide label in place of CBS. The rights to the CBS brand were returned to CBS Inc. In 2007, the CBS Corporation, CBS Inc.'s successor, revived the CBS Records brand. The label uses CBS's television networks and its other mass media platforms to market their artists. They also release soundtracks of CBS television shows. 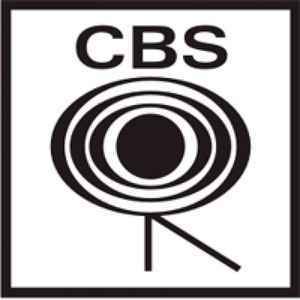 The new CBS Records label is not related to the former CBS Records business or its artists or assets, which were acquired by Sony in 1988. BA 1XXXXX (catnum). . . . . . . . .